BSC covers the State of Mississippi for all our filing systems that range from physical storage solutions to electronic document management solutions. If you have Mississippi filing systems and needs, you are one call away from a representative coming onsite for an onsite analysis. As the quantity of documents and information continue to grow in your workplace, it is mission critical to have a filing system in place to organize, access and secure your critical documents. We can help you implement a document management solution so that your personnel can work more efficiently while management makes day to day business decisions. For our Mississippi conversion services, we offer document scanning services on or off site. We also offer microfilm conversion, microfiche conversion, aperture card conversion, and wide format document scanning. 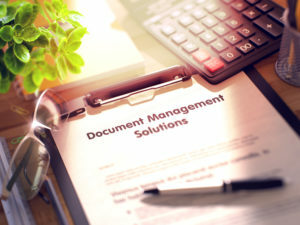 For our MS document imaging solutions, BSC offers software and automation solutions including SCM software, E-form processing, workflow automation, human resource automation, accounts payable automation , digital mailroom solutions, RFID software applications, and document management software. Contact a local BSC sales representative to learn more about our applications and solutions. We want to help you remove that excess clutter in your workplace.